My Catch All Bib with handy scoop helps catch mealtime mess. 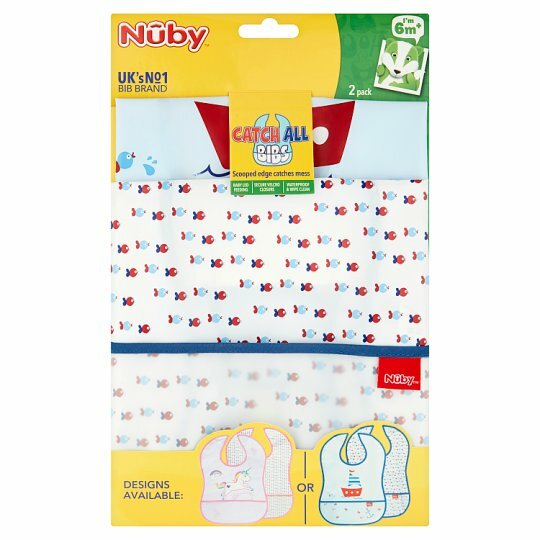 Waterproof and wipe clean, with an easy, secure Velcro® neck closure, this bib comes in a range of fun prints and is all you need to keep mealtimes dry and clean for you and baby! Contents: 100% PEVA. Exclusive of decoration. Care Instructions: Wipe clean only. Do not iron.